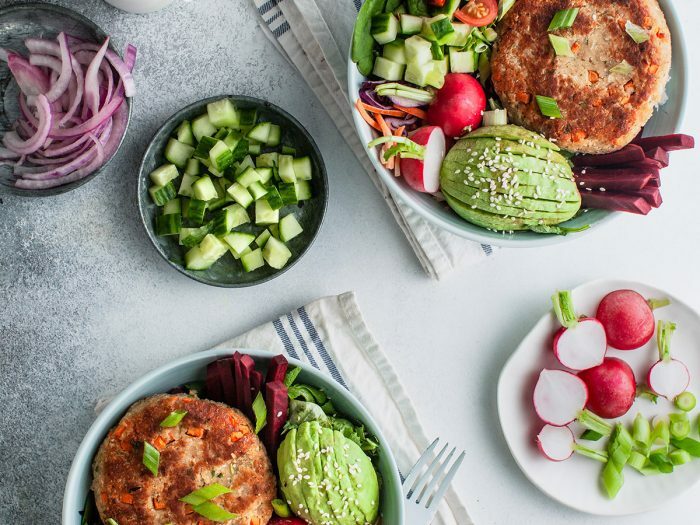 White Bean Burger BowlThis white bean burger bowl is all the best parts of a vegetarian burger without the bread! 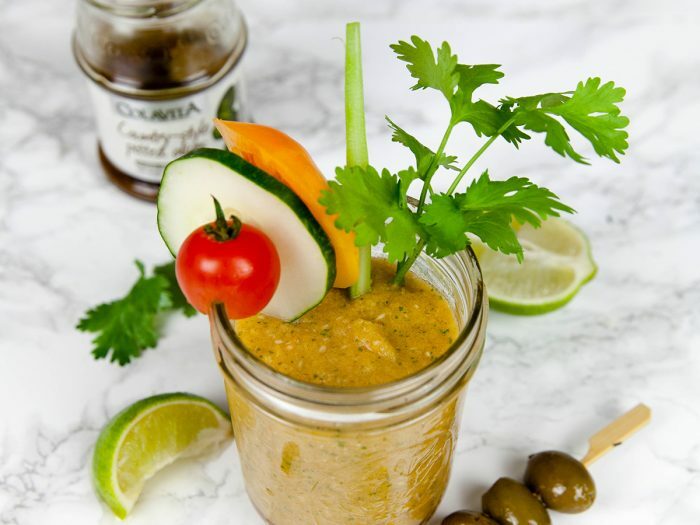 Made with heart healthy cannellini beans and EVOO, this has tons of healthy fats and nutrients. 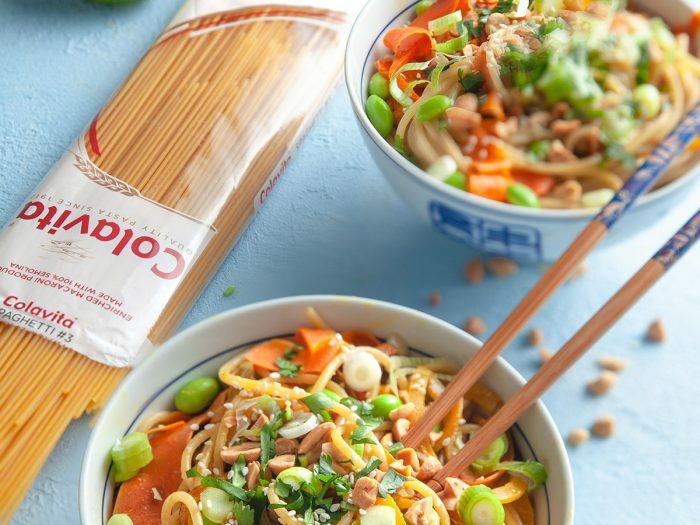 Spaghetti with Golden Beets and Thai Peanut SauceThis spaghetti with golden beets and thai peanut sauce is just the dish to spice up your spaghetti needs! It doesn't take much to make and the outcome is out of this world! 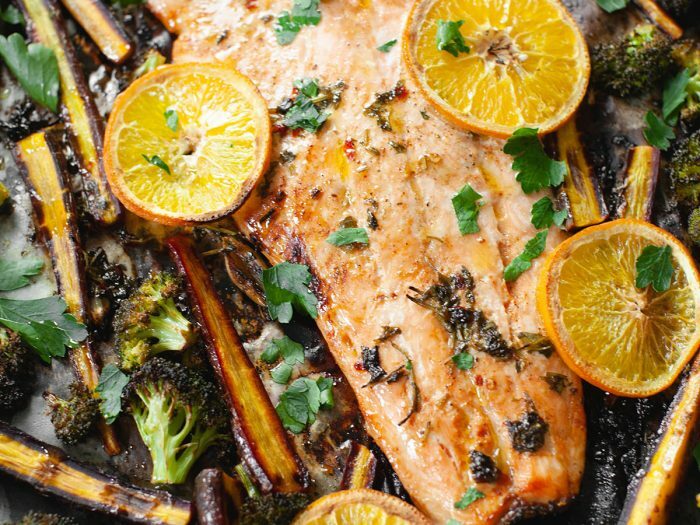 Salmon Sheet Pan DinnerThis sheet pan salmon dinner is both incredibly easy and incredibly flavorful! 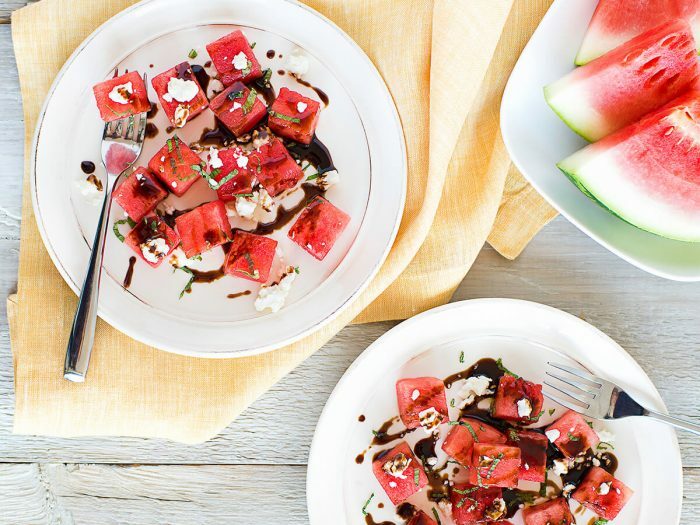 It's a great dinner for any summer night inside. 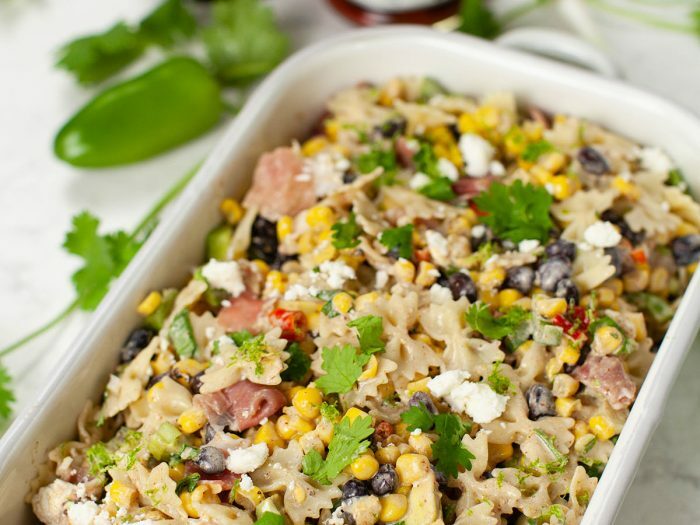 Recipe featured in our "What I Eat in a Day" series. 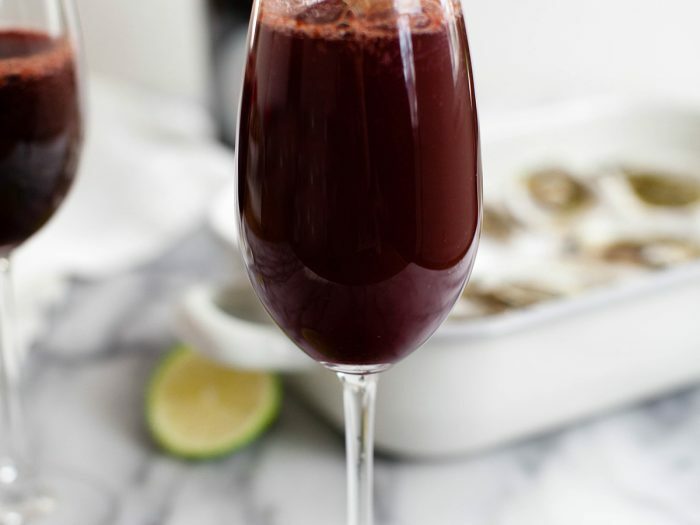 Frozen Sour Cherry BelliniMake your date a delicious drink in no time with this frozen sour cherry Bellini! 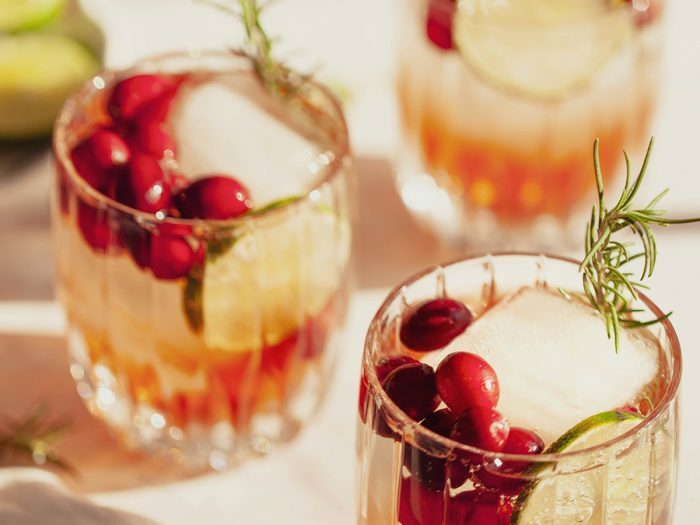 A delicious combination of cherries, lime, and mandarinata makes a drink you'll never forget. 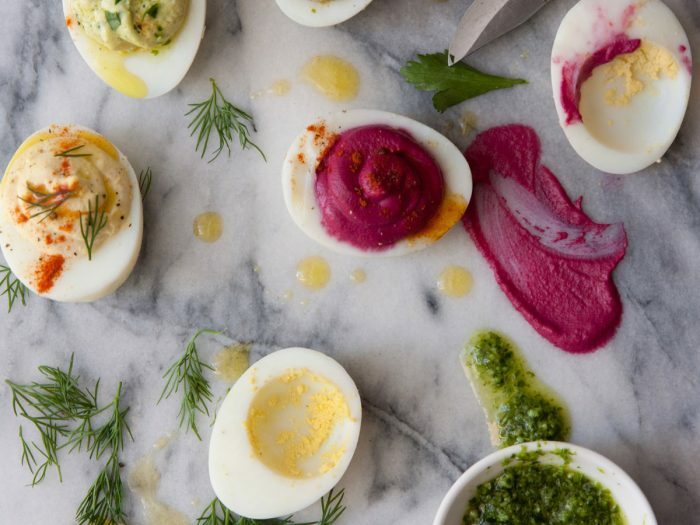 Deviled Eggs with Greek YogurtThese eggs take a devilishly healthy twist on the original version, substituting Greek yogurt for mayo. They’re so easy to make and are a great snack, breakfast, lunch or party appetizer. The “Beet-it” is especially sweet and fun – bright pink makes kids smile! 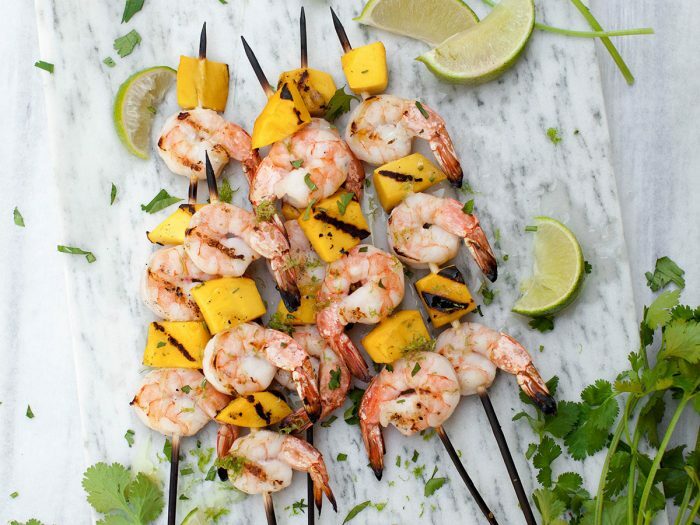 Shrimp and Mango SkewersPlain old shrimp skewers can get boring, so add some tropical fruit to the mix! Mango adds some sweetness, and caramelizes on the grill for even more flavor. 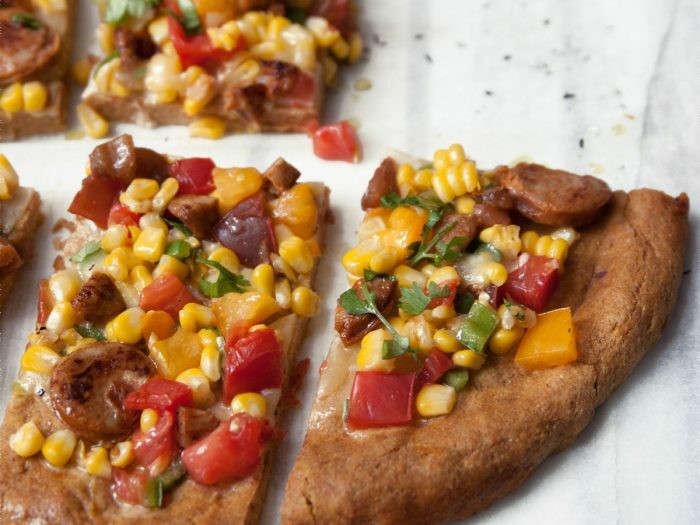 Heirloom Tomato Chorizo and Corn PizzaLoaded with sweet potatoes, this crust is sure to be a healthy favorite, especially when topped with bright heirloom tomatoes, spicy chorizo and corn. Go ahead to the farmer's market to pick up the freshest heirloom tomatoes and corn you can find, and make this pizza! 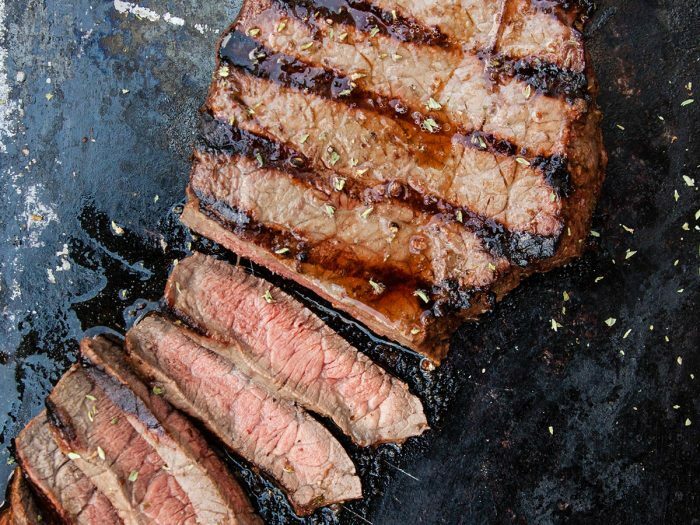 Grilled Marinated London BroilTender London Broil is marinated in a melody of spices that marinate the meat for hours at a time. Then, it is grilled to perfection to a nice, medium rare that will really make your mouth water.